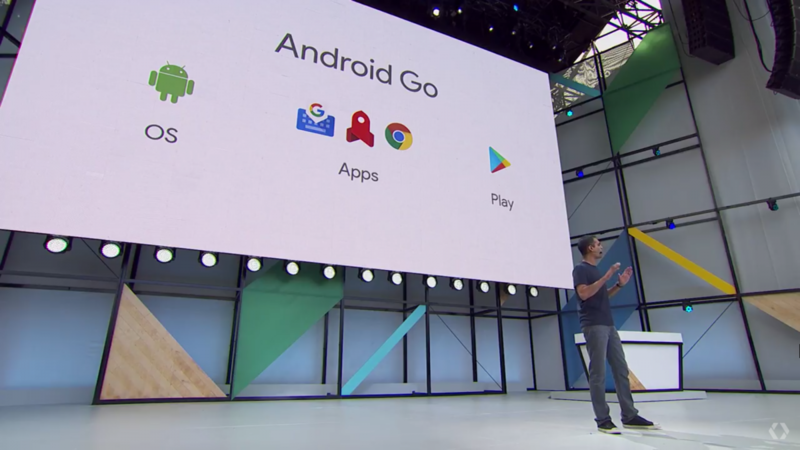 Android Go is Google’s lightweight mobile platform that aims to run on lower system specifications than usual. It’s aimed at developing and lower-income areas, where devices with poor processors and small amounts of RAM will be most prevalent. It exists basically to make sure that those in developing nations can still avail of applications and products in the smartphone world. As such, lower specifications requires some applications to be reworked in order to work within smaller RAM constraints. YouTube Go, Maps Go, Gmail Go, and Google Go are all examples of these applications, and third-parties offer them too. But that’s not all, as a number of modifications are made to keep system requirements even lower. RAM compression, reduced system memory usage, and better memory management ensures the device will be as quick as can be. But when it comes to a smartphone, its worth is defined by the applications it can run. How good, really, is the Android Go suite of apps that are currently available? We will compare the pre-installed Android Go applications against their normal counterparts to find out. Android Go vs Regular Android – What’s the Deal? What are the differences between the operating systems? On an unmodified Android Go version, there are very few. What’s interesting is that Android Go, much like its full-fledged counterpart, is not released directly to Android devices like those in the Android One program. The software is shipped off to phone manufacturers who then modify it and add their own applications and software. The upcoming Samsung Android Go device is an example of that. Nearly all of Android Go’s changes are under the hood, things the regular user won’t see in day-to-day usage. In theory, though, there’s absolutely nothing stopping an OEM from going a step further and making even more changes. It’s still familiar and feels the same, and that’s the whole point. There have been some small changes to the system, but nothing that’s hugely noticeable. The only UI change I could really spot was how the Recent apps are displayed, as shown below. 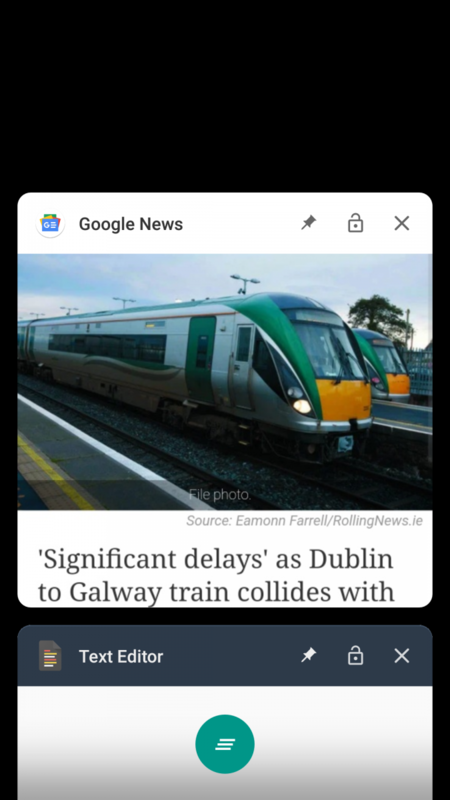 I was unable to spot any other major differences between the two on my testing device running completely stock Android Go, as Google’s vision is that the operating systems functionally remain the same. Interestingly, the Recent apps switcher changes intend to “trick” the user. 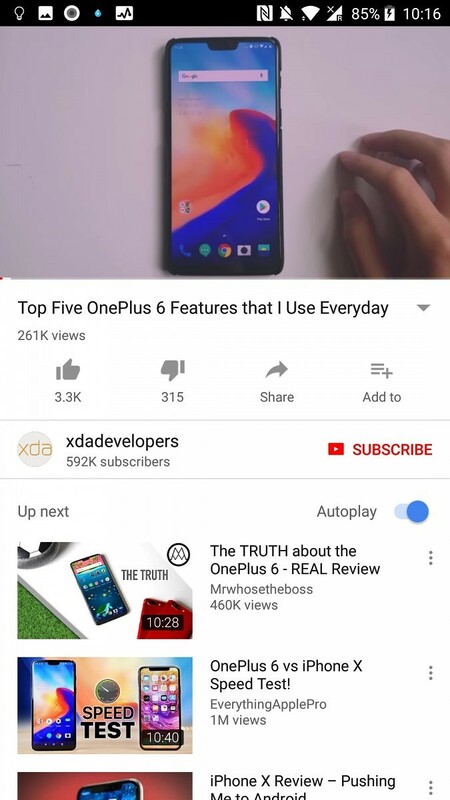 The thumbnail expands to fill the screen while the application loads, which isn’t noticeable on a lower resolution device. It’s a neat little trick which makes the device seem faster than it is. There are some features disabled but none that are major given the platform. Split screen is disabled along with Daydream VR. Both of these are entirely understandable, given the RAM and screen resolution constraints. 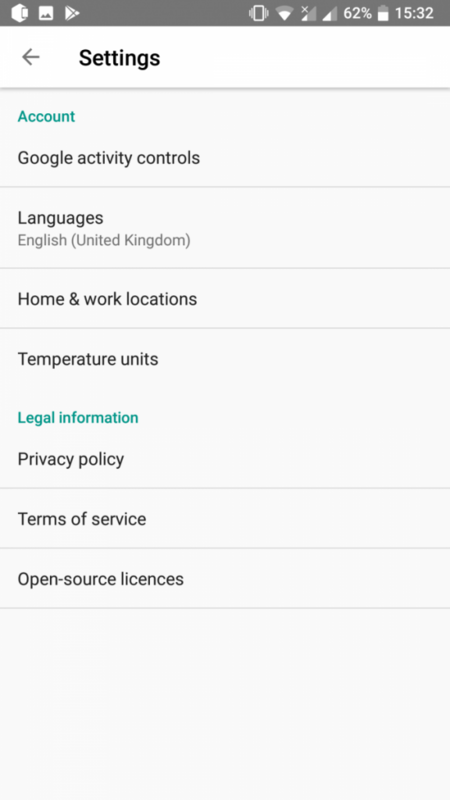 There is no Android Auto or Wear OS support here either, and the Android for Work profile is disabled. There’s also no encryption by default, but some devices will allow you switch it back on. 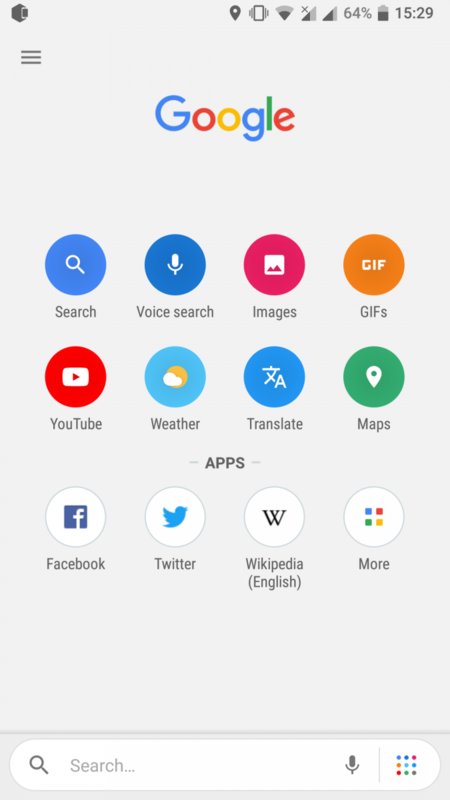 Google has got Android Go and their suite of applications down perfectly so far. Now it’s down to the individual phone manufacturers and application developers to continue that trend. In terms of other features, Google’s slimmed down version of Android pretty much replicates its bigger brother perfectly. There’s not much by the way of differences here, despite the fact that it slims down both its RAM usage and its storage footprint. Android Go has a large emphasis on protecting your data usage as well, but nothing that can’t be found on your standard Android flagship smartphone. We’ve already talked in-depth about these changes. Android Go is a lot more aggressive in clearing out low priority processes, so basically, anything not related to the Android system that’s running in the background. Automatic storage management is also present, along with a reduced Android system memory by trimming some system services of unneeded features. What’s interesting is that much of Android Go’s built-in applications are glorified Progressive Web Applications, something that Google has been working on for a while now. 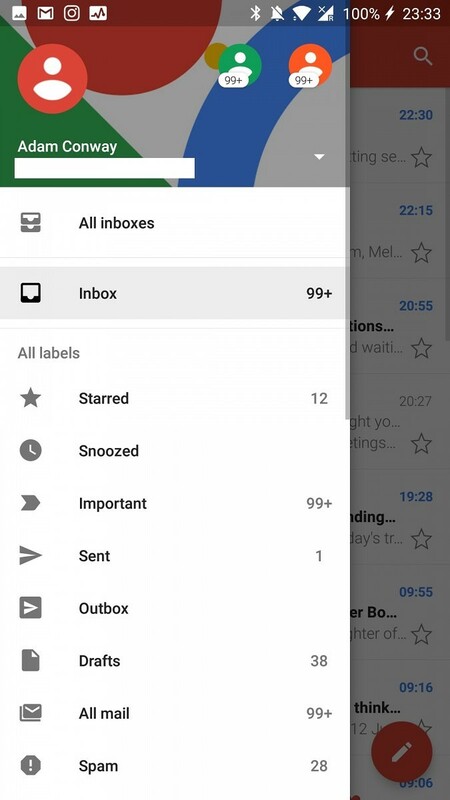 Gmail Go focuses largely on functionality, something regular Gmail also focuses on. 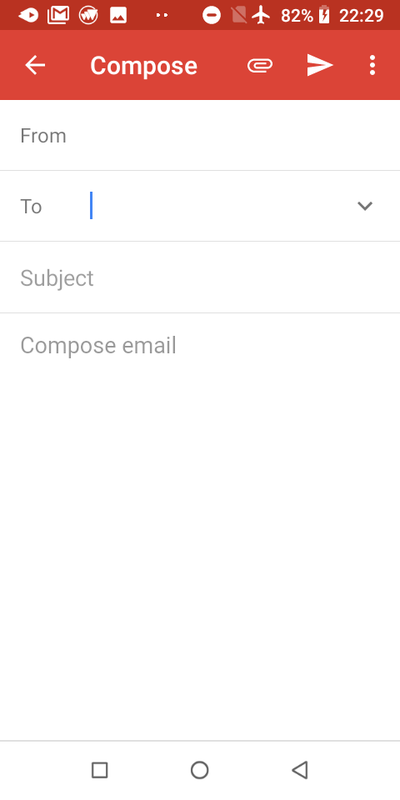 It has all of the functionality needed to function as an emailing application in its lite form and looks practically the same as its more fulfilled counterpart. 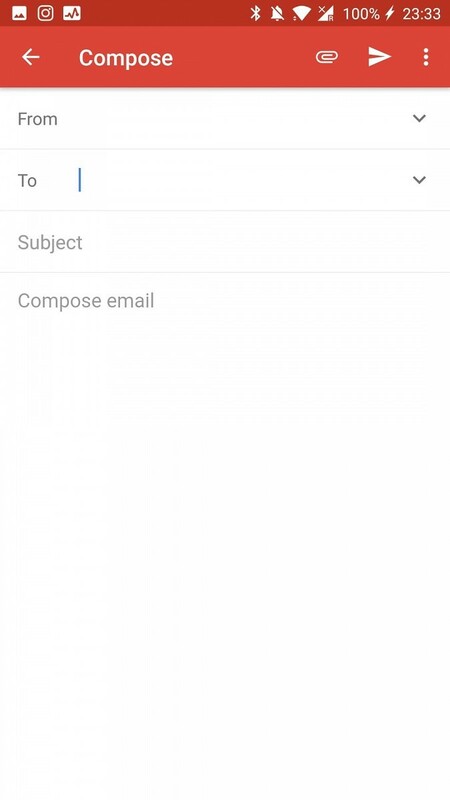 As you can see, Gmail has a lot more in terms of graphics that puts it ahead of Gmail Go. The account switcher has a nice animation that you can swipe, not just a drop down for switching. 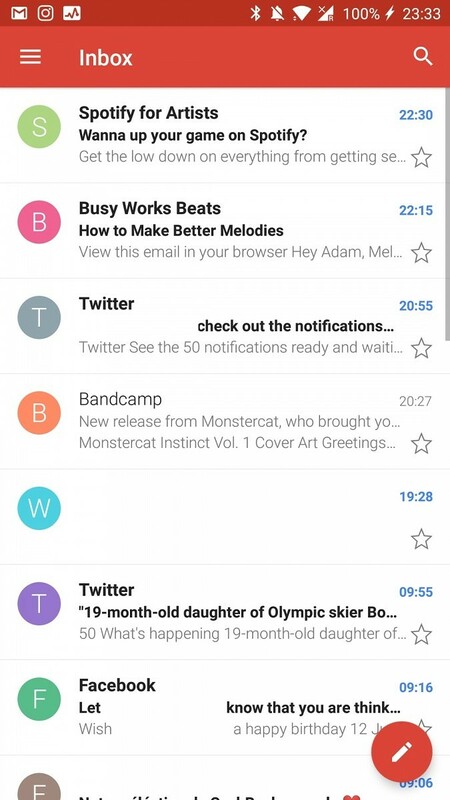 The email composition activity also features a shadow in between the top bar and the actual composition area, a detail that the lighter version of the application lacks. So what are the differences? Not a huge amount really other than the small visual changes. The application functions the same and does exactly what you’d expect an email client to do. No functionality is left out here. Performance wise is a whole different story though. 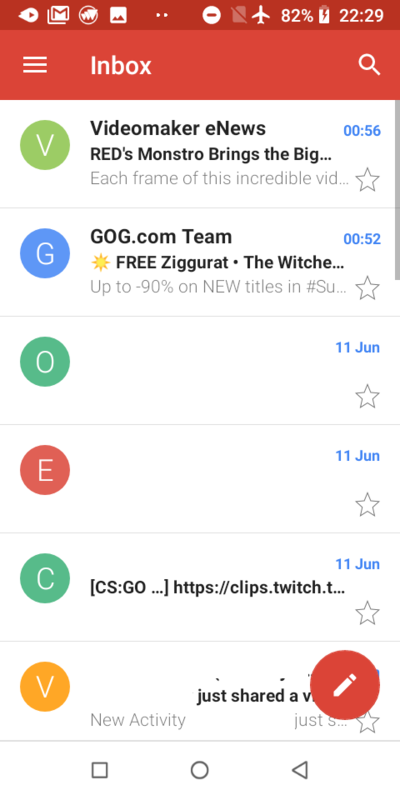 Gmail Go uses a webview, making performance choppy. 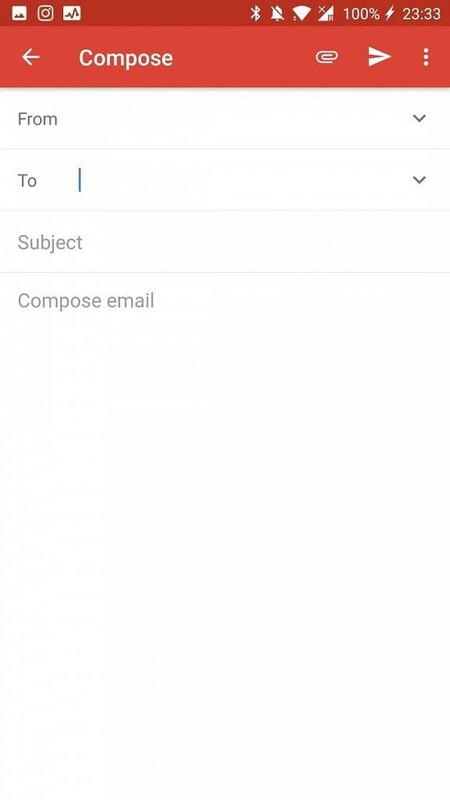 The main thing here is that Google focused more on keeping the file size down, rather than prioritizing performance as a basic email client doesn’t need to perform well to work. 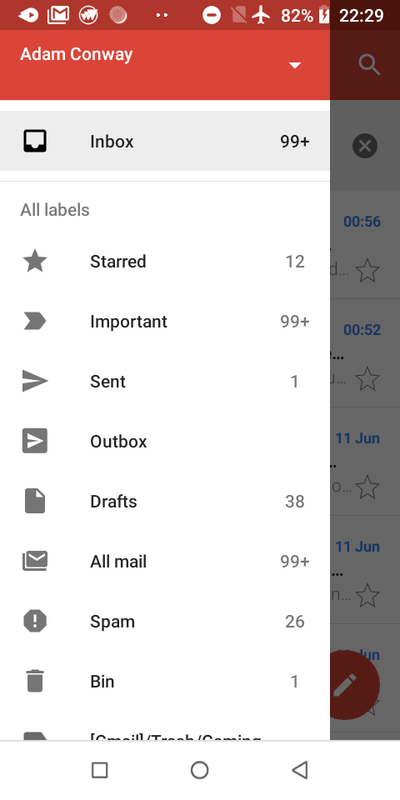 Interestingly, Gmail Go is actually larger in file size than Gmail. You’re nearly better off using the regular version of Gmail here. YouTube Go is in the same boat as Gmail Go, in that it focuses largely on simplicity and ease of use while also keeping users aware of file sizes. How much data a video will use is clearly outlined. There are no comments and you can’t like or dislike videos. You can read the description of a video before you play it. 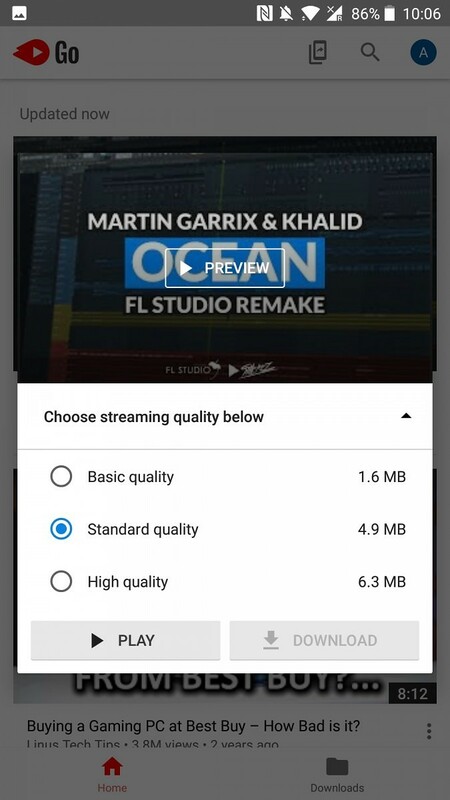 This app offers a very different experience to the regular YouTube application, even if the UI and design language remain mostly the same. 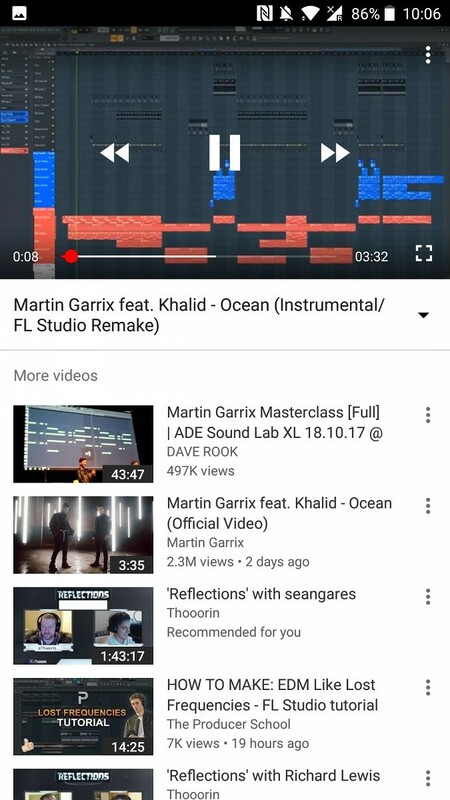 In contrast to the regular YouTube application, YouTube Go looks simpler and has less functionality. It does the job, but it’s simply just not as robust. I also ran into strange performance janks with YouTube Go that aren’t present in the regular YouTube application. 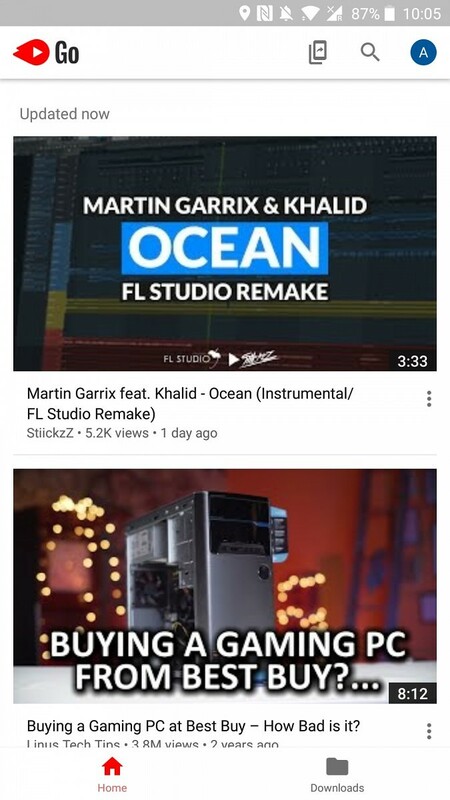 For example, once I played a video and scrolled down to the recommended videos there was a pretty consistent device freeze for about a second. Very strange stuff. Still, YouTube Go functions perfectly as a client for watching YouTube videos and does the job exceptionally well otherwise. It’s made even better by knowledge of the fact that it keeps users data conscious. Now, this is where things get very different very fast. These two applications are simply not comparable. Google Go feels like an entirely different application, and in a sense, I guess it is. 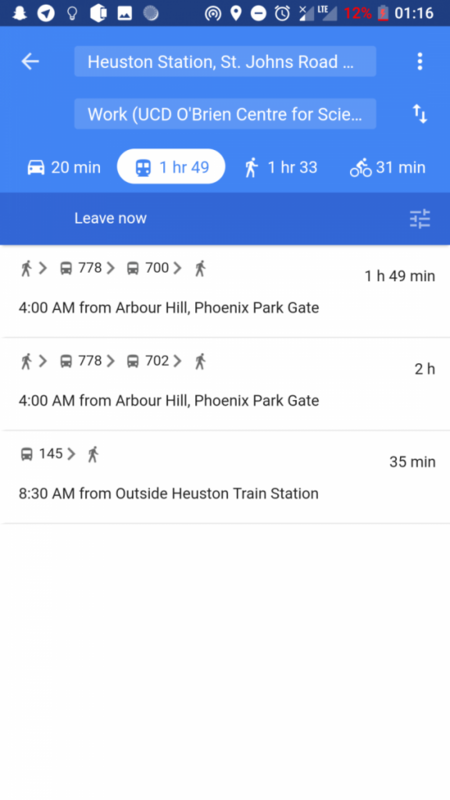 I’ve combined both Assistant Go and Google Go together for the sake of this comparison as the regular Google application encompasses the functionality of both. 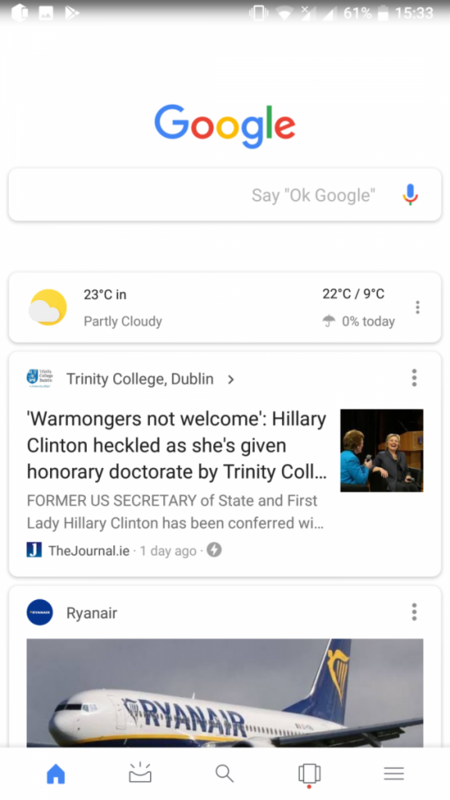 Interestingly, it wouldn’t let me use the Google Assistant through Assistant Go when my device language was set to English (Ireland). I had to change it to English (United Kingdom). This restriction does not exist in the full version. 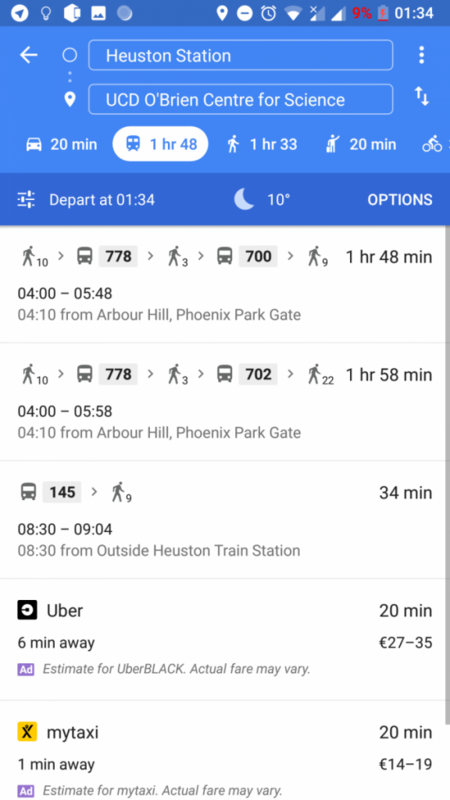 Google Go resembles the regular Google application but has a few little surprising extras up its sleeve. There are trending searches and a lot of customization options here. It’s pretty cool. Google Go definitely feels like one of the best made Android Go applications available currently. It has all of the features you need from a Google application and has a nice looking UI as well. The only thing is that you will not get the recommended news cards. 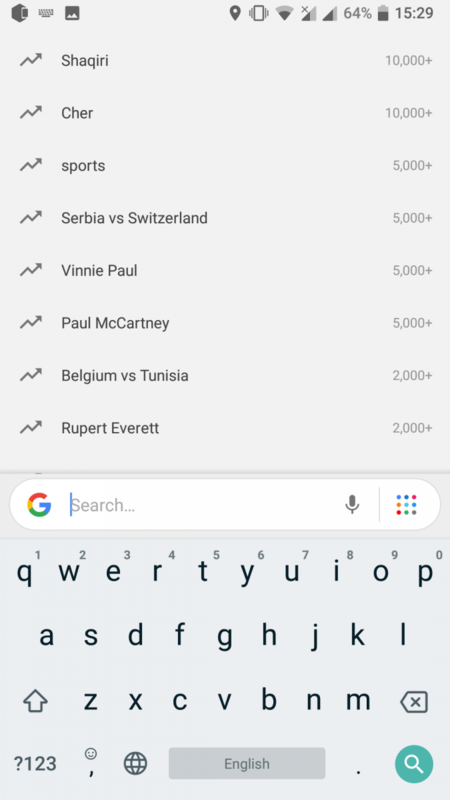 The regular Google application is obviously better, but Google Go is surprisingly well made and does a great job for what it is. 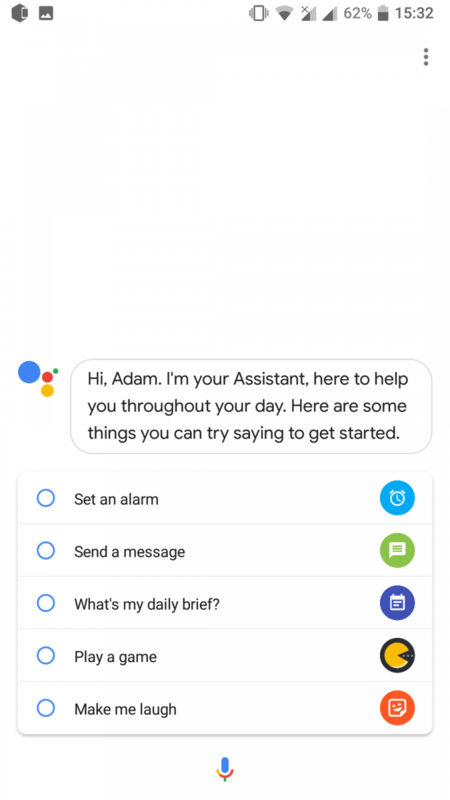 As for the Assistant Go application, it’s pretty much just the Assistant taken from the Google application and made into its own thing. There are one or two restrictions, such as there are absolutely no configuration options, but it works basically the same. You can tell it to play music on Spotify, for example, but you can’t tell it to set a default music player. It also can’t control the phone’s hardware, like switching on a flashlight. All of the basic functions work fine though. There aren’t even many changes here in terms of the UI, so it’ll be as familiar as always if you’re switching to an Android Go-based smartphone. As far as I could tell, there’s no functionality left out whatsoever. All of my requests worked just fine as they do in the regular assistant. The only big difference you’ll find is that there is no “Ok Google” hotword detection, which is understandable given that it’s not so baked into the system as it would be on a regular Android device. This is where Google really had to make some changes to get their map application working on devices with low RAM. 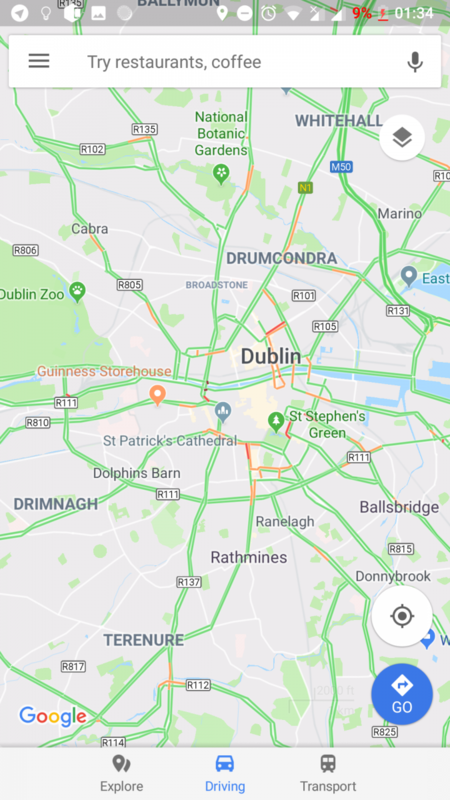 As it is, many flagship devices can lag or stutter while running the full version of Google Maps. 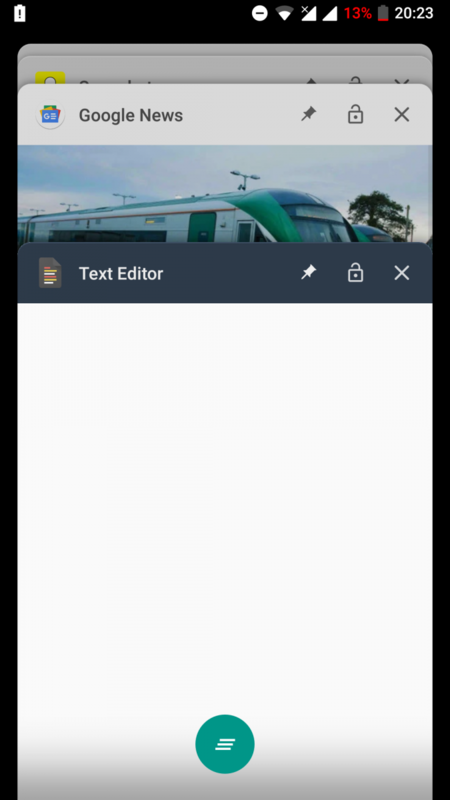 It’s a challenge, but Google made it work on Android Go and it runs pretty well (though not great, it uses a webview just like Gmail Go). It definitely feels different, but the functionality is the same and it works amazingly well for what you’d need it for. Interestingly, this is also one of the smallest Android Go applications I used. It comes in at under 1MB, and again, that’s likely because it’s a webview and not a full-blown application. 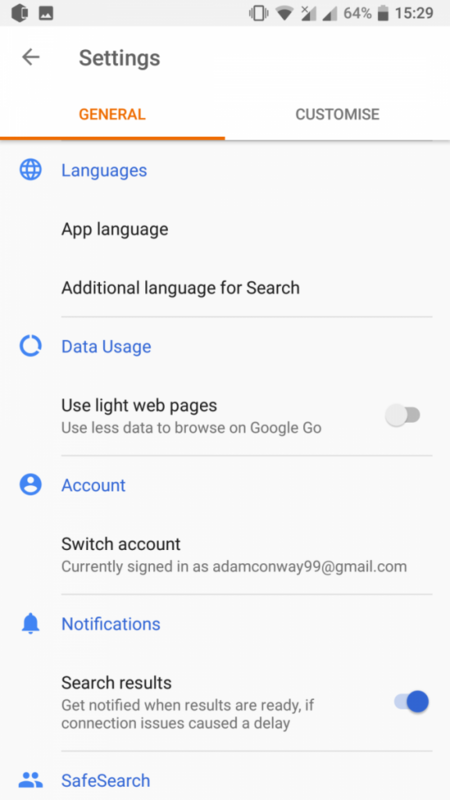 Remember I mentioned that Google Go is one of the best Android Go applications yet? 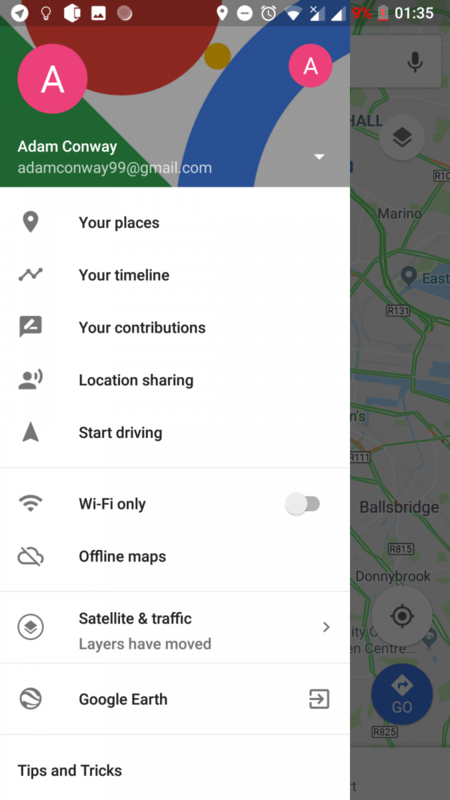 Well, Google Maps Go may be the most well made Android Go application. It definitely wins points for most accurate recreation (other than Assistant Go). 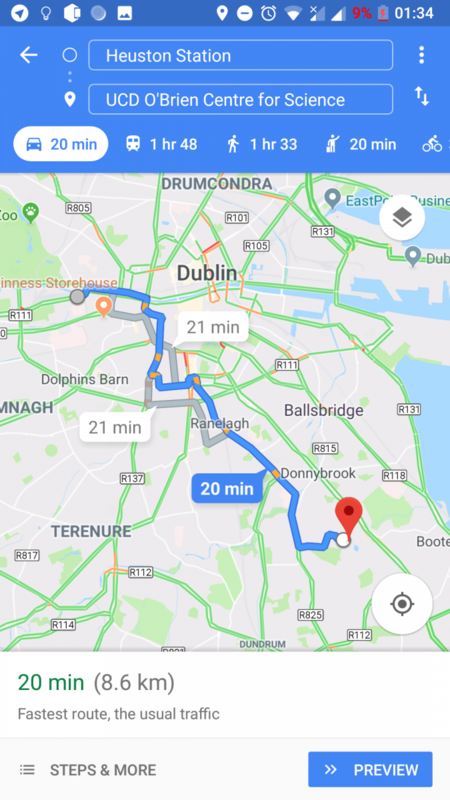 Check out the screenshots below of the regular version of Google Maps – the resemblance is uncanny. There are clearly some graphical discrepancies, but none too drastic that makes it an entirely different application. It’s a very, very good recreation and has me impressed. 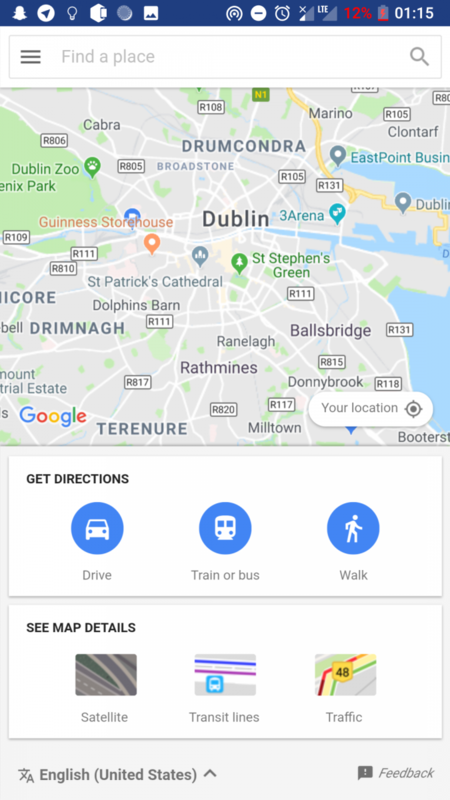 Of course, Google Maps Go does forgo some of the other features like recommending an Uber or MyTaxi, but that’s fine anyway as those are basically advertisements. 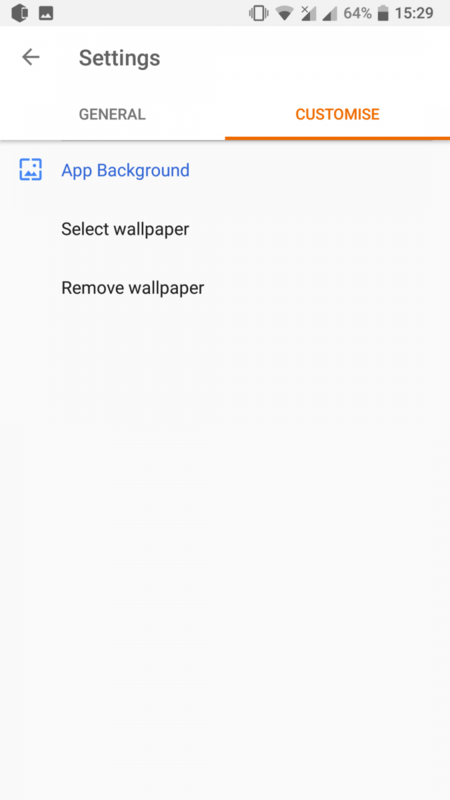 I had absolutely no problems with this application, and Google did a great job recreating it. 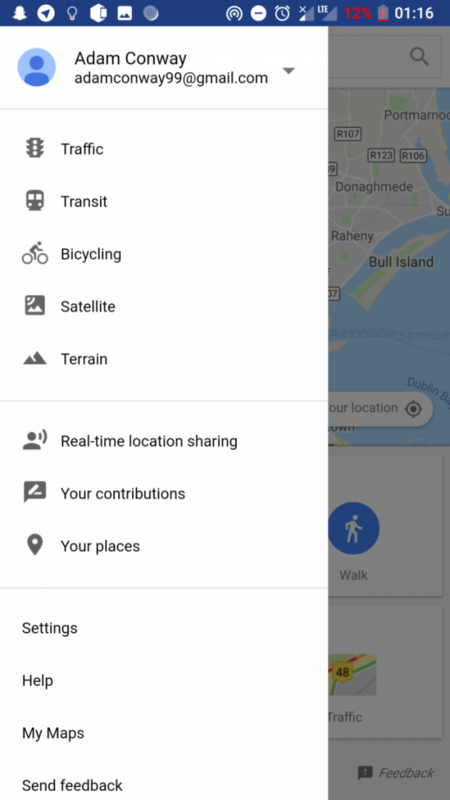 Google Maps Go is an interesting case, though, in that you can actually use it on your own Android device, simply by navigating to the Google Maps website on your smartphone. It’s literally the exact same thing. As such, there is one restriction but one that’s probably expected – there is no real-time GPS turn-by-turn navigation here. You cannot have your phone tell you directions to take as you drive because of this restriction. It may be a deal breaker for some but used as a simple maps application it worked perfectly for me. 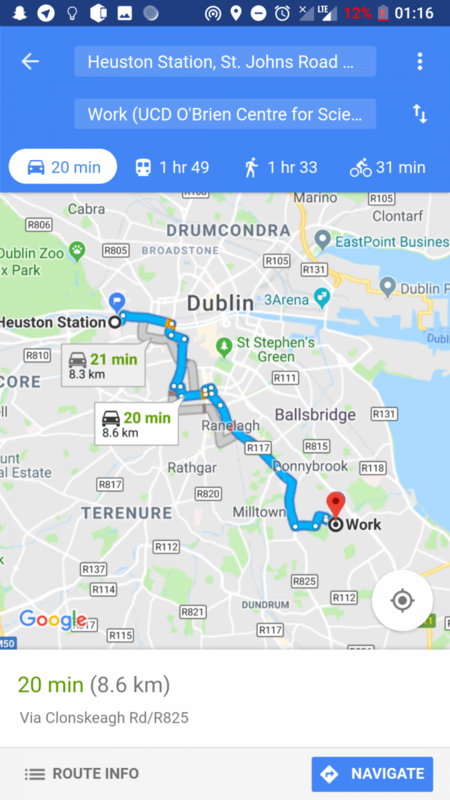 There are one or two other features missing too, namely reviews, but I don’t find myself using them in Google Maps too much anyway. 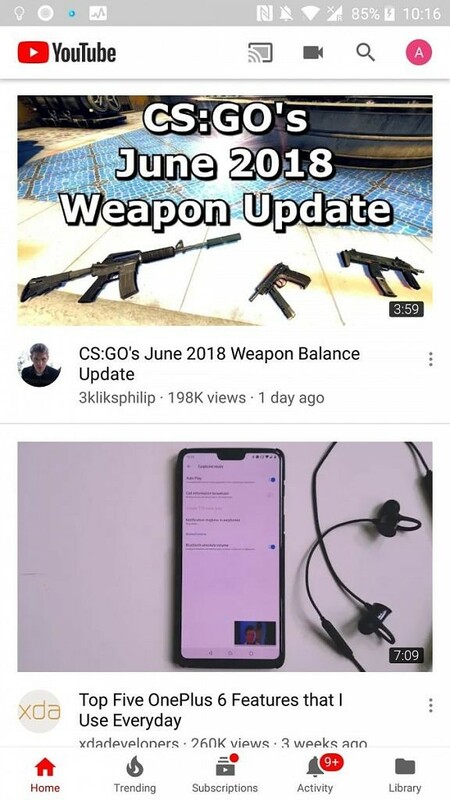 So how is Android Go? Android Go is in an interesting position currently. It holds all of the cards of potentially being a great lightweight operating system, while also missing the mark in so many ways. It’s the sum of its applications, and its applications certainly aren’t stellar. The only way to describe them is inconsistent, and while individually they’re okay, they leave you feeling like you’re playing with an incomplete ecosystem. Then again, you get what you pay for, and for the standard price of most Android Go phones, there’s certainly nothing wrong with that. It’s definitely understandable that corners have to be cut with some applications to have them fit into storage and processing constraints. The system works well for those looking for a cheap, secondary phone or a phone for older people. It’s definitely not for the enthusiasts.